Thermos brand has partnered with Under Armour, the innovation brand who's on a mission to make all athletes better. Thermos combines innovation and technology to bring what matters most, when it's needed the most. From nutrition to hydration, our gear is equipped to help athletes achieve maximum performance. 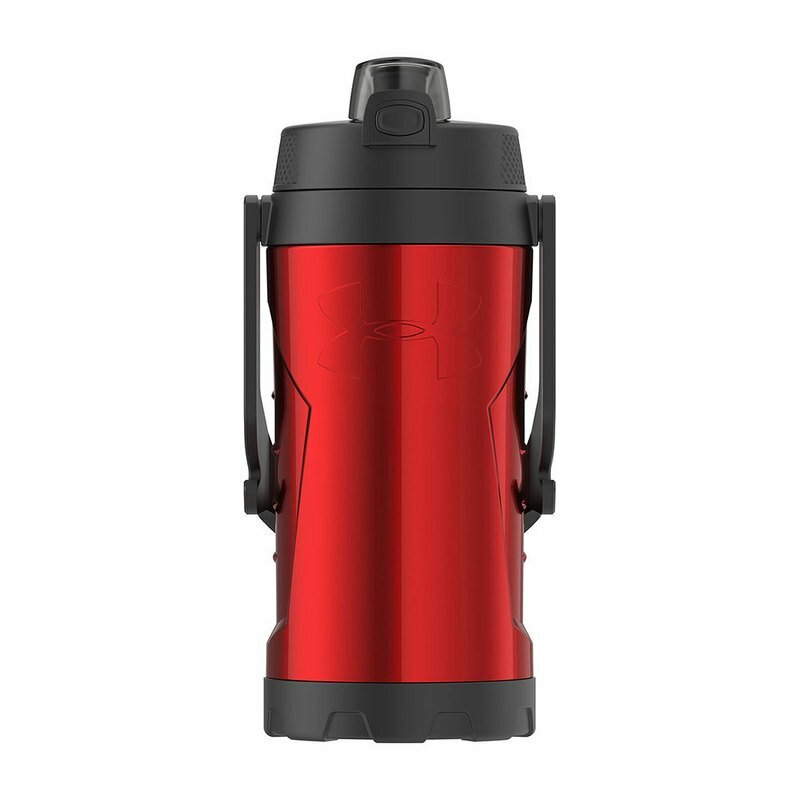 The Under Armour 2L vacuum insulated hydration bottle was built with the active athlete in mind. This bottle includes innovative features to make proper hydration easier than ever. The cool aesthetic and sleek design will encourage athletes to carry reusable bottles and reduce their impact on the environment. Features include a locking push-button lid that is easy to operate with one hand, and a carrying handle that folds down to conveniently nest in place when not in use. Additionally, the handle has integrated fence hooks. The bottle interior and exterior is made from durable stainless steel. Keeps cold liquids cold for 24 hours.